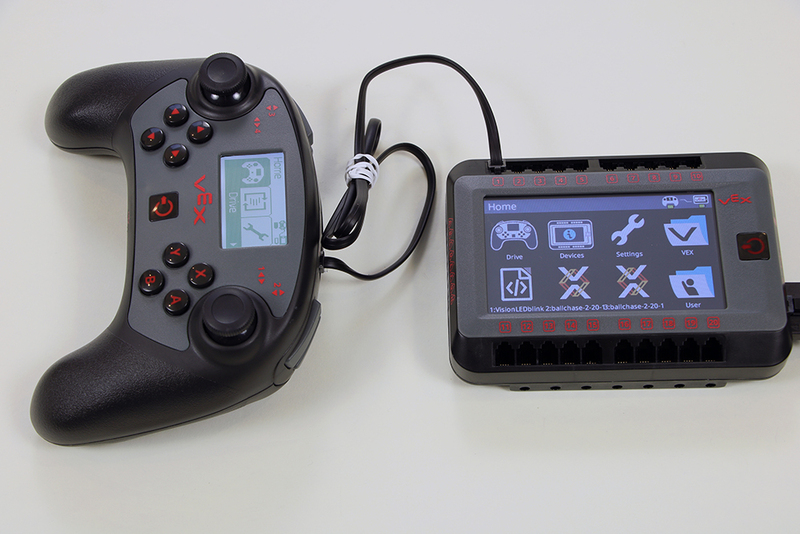 Connect a Smart Cable to one of the Smart Ports on the rear of the V5 Controller and to any Smart Port on the V5 Robot Brain. 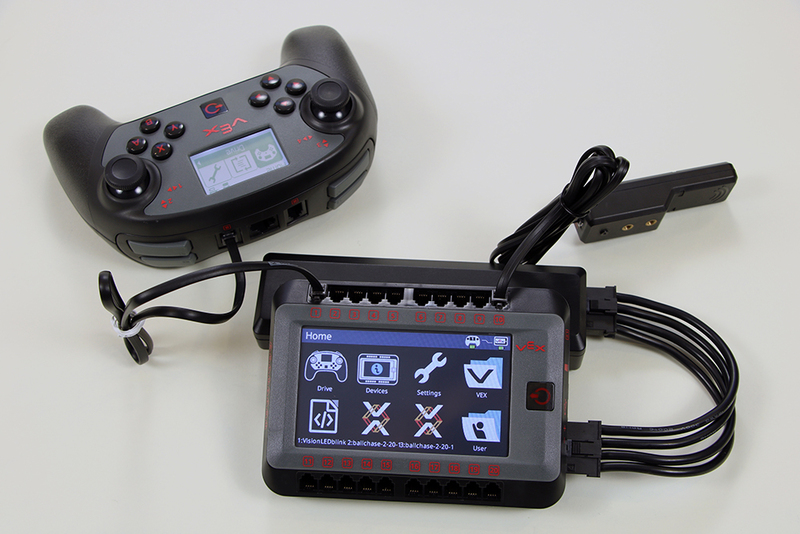 The controller should automatically turn on when the brain is powered on and they are connected via a Smart Cable. Wait for the devices to indicate they are connected. The image above shows a typical indication of the lack of connection. Next, connect the V5 Robot Radio to the V5 Robot Brain. The radio is necessary for a wireless connection. 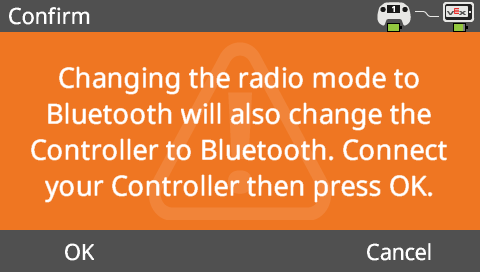 The radio can also be connected to any Smart Port. 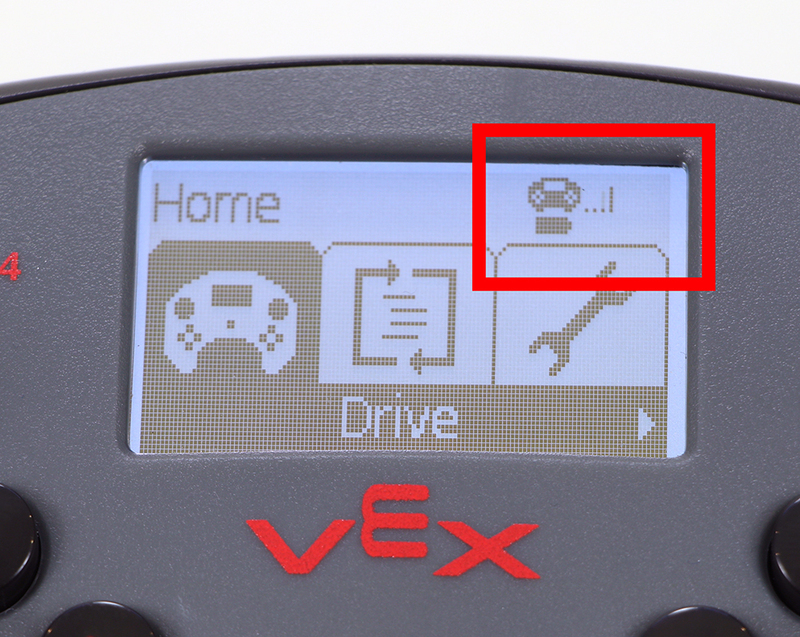 When the V5 Robot Brain and V5 Controller are connected with a V5 Smart Cable, they will show wired connection indicator icons. 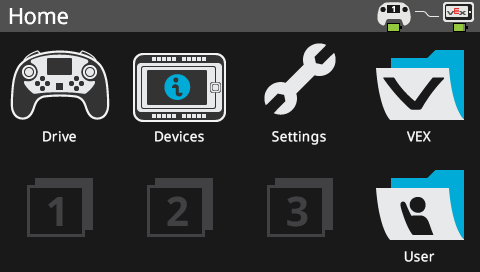 Navigate to the Settings menu to change the Radio setting. 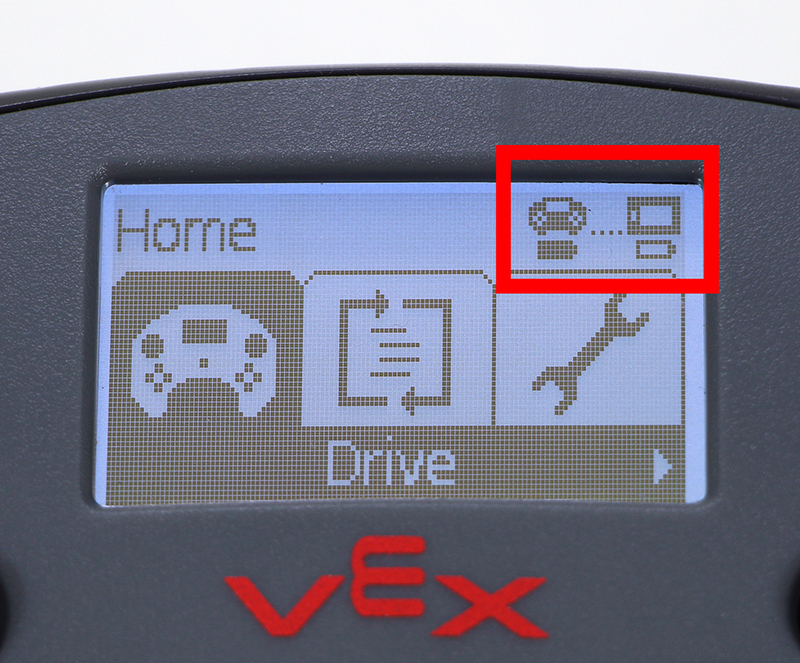 Set the radio to VEXnet by tapping on the Radio setting. 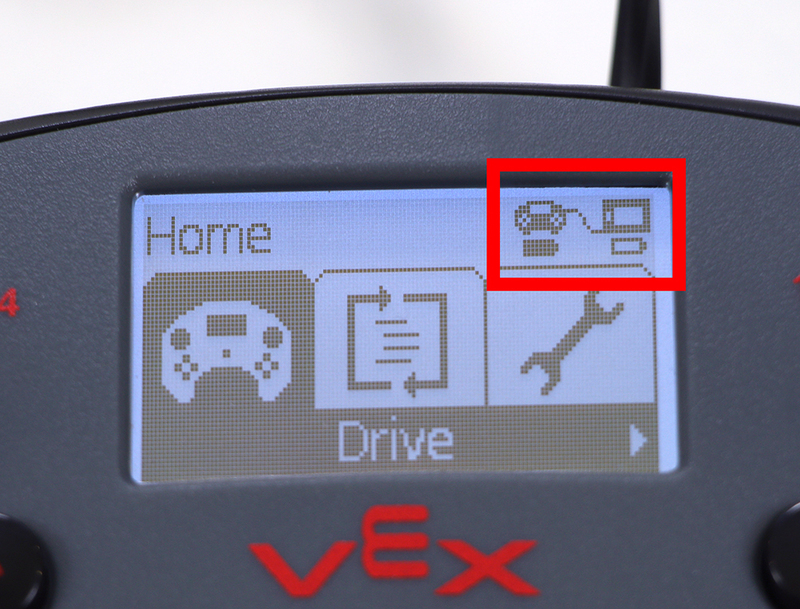 NOTE: If the Radio mode is already set to VEXnet, skip Step 7. Press OK when this warning appears when changing the Radio setting. 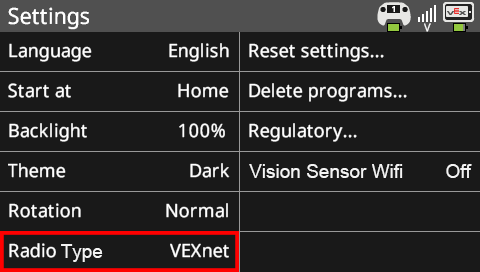 NOTE: Although the warning is about Bluetooth, it also applies to the VEXnet setting. Disconnect the Smart Cable connecting the controller and brain to see the symbols indicating the wireless connection. 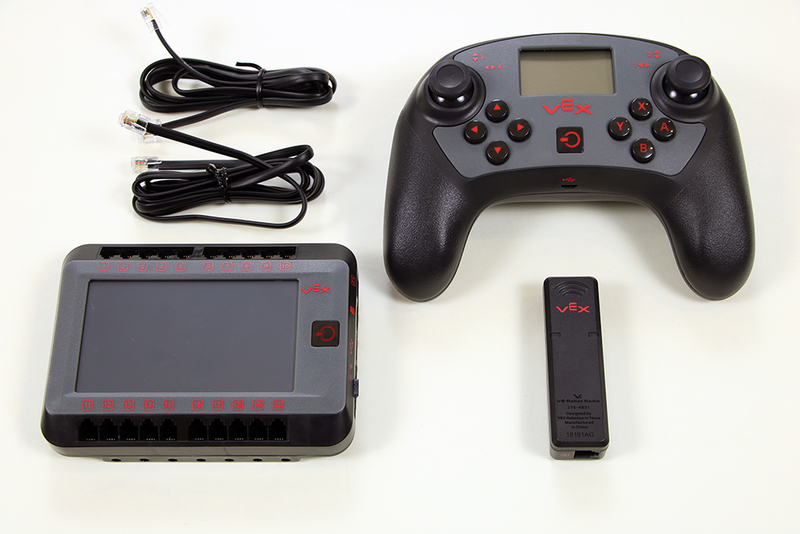 Use the controller to communicate with the brain wirelessly.